Classically styled, beautifully made and the height of luxury. 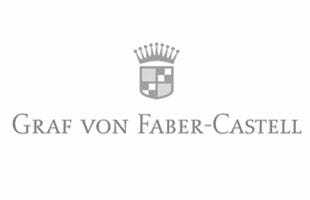 The Graf von Faber-Castell Classic collection's Platinum Plated Pencil is delicately balanced and expertly finished. The ribbed Platinum Plated barrel gives a decadent feel and a touch of opulence to each pencil; whilst the slender shape enables the pencil to sit comfortbaly in the hand. With a replaceable eraser hidden underneath the removable cap, and using 0.7mm break resistant leads, the Classic Platinum Plated Pencil is the perfect pencil for work and home alike.